NOTE: I have to raise the price on this soon due to the cost of silver going up and this coin is no longer in production. The coin alone is costing nearly $65 to buy. Steampunk is a sub-genre of science fiction or science fantasy that incorporates technology and aesthetic designs inspired by 19th-century industrial steam-powered machinery. T.I.M.E. takes a big step in making this there first minting in pure .9999 Silver (99.9% pure). Other popular cultures that follow include gear-heads, literary origins of cyberpunk genre. Often set in an alternative history of the 19th century's British Victorian era or American "Wild West", in a future during which steam power has maintained mainstream usage, or in a fantasy world that similarly employs steam power. However, steampunk and Neo-Victorian are different in that the Neo-Victorian movement does not extrapolate on technology and embraces the positive aspects of the Victorian era's culture and philosophy. 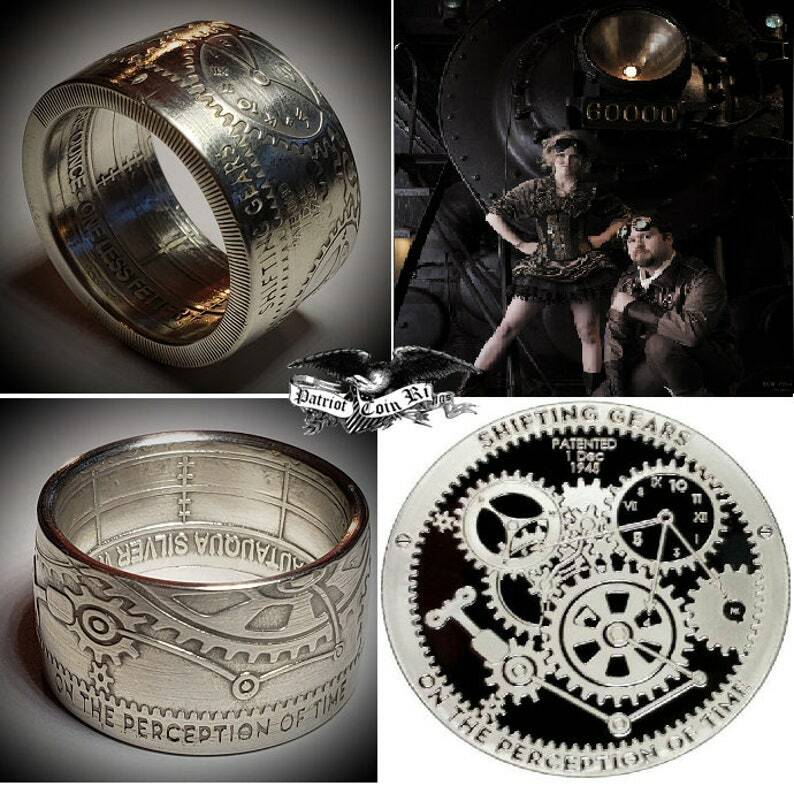 Steampunk most recognizably features anachronistic technologies or retro-futuristic inventions as people in the 19th century might have envisioned them, and is likewise rooted in the era's perspective on fashion, culture, architectural style, and art which this coin displays in a clockwork fashion showing gears and sprockets that move one another. re donated to the Wounded Warrior Project and as a fellow veteran myself, I thank you for your support of both small business and helping wounded vets get back on their feet again after returning home from war in the protection of our freedom to continue moving forward in life and get their much needed medical and financial needs met. God Bless you and God Bless America!